Positive: Large screen; decent hardware; nice display; good price; good connectivity; decent speakers. Negative: Heavy. 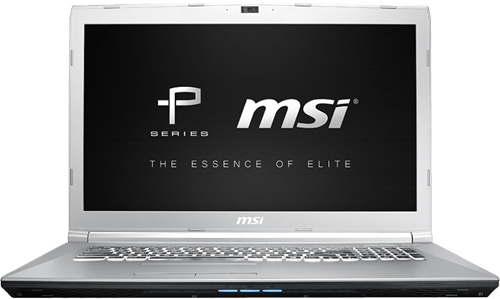 The MSI PE72 7RD-1040XES is a powerful 17.3" gaming notebook that could go unnoticed in an academic or professional environment. MSI has always tried to stand out in the gaming market and compete with other brands such as Hewlett-Packard (HP OMEN) and ASUS (ROG STRIX). 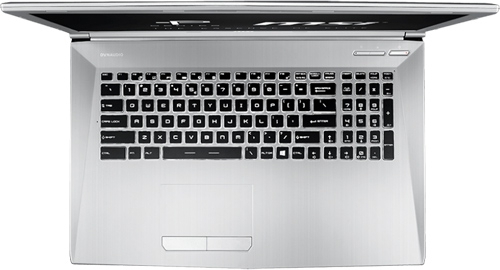 The new MSI PE72 presents an exterior design almost identical to its predecessor, with silver-gray surfaces covering both the work area and the cover of the laptop, whereas the base of the laptop is black. Its elegant silver-gray cover has an attractive brushed finish, which contrasts perfectly with the black keyboard. The hinges are quite sturdy, allowing for an opening angle close to 180°, and they keep the screen in the selected position during normal use of the laptop. 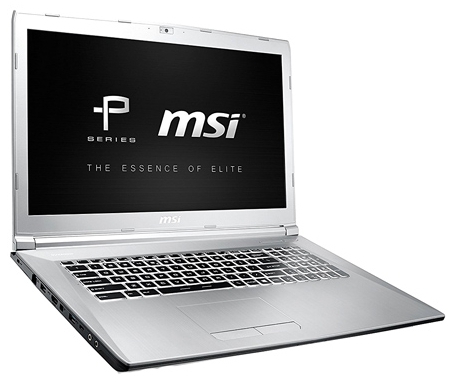 The MSI PE62 7RD-1814XES opted for a 17.3-inch LED panel. Of course, this laptop has a Full-HD resolution of 1920 x 1080 pixels, which is ideal for playing games, watching movies or any multimedia content really. The panel’s matte finish offers good brightness, high contrast and, although far from those offered by IPS panels, relatively wide viewing angles. It would be possible to use the laptop outdoors. As for the hardware specifications, the MSI PE72 7RD-1040XES uses an Intel Core i7-7700HQ microprocessor from the Kaby-Lake range, which, thanks to Intel TurboBoost technology, is capable of operating at a clock frequency of 3.8 GHz. The Cooler Boost technology keeps the temperature at adequate levels. The laptop also integrates two memory modules of 8 GB with DDR4 architecture. For storage, the speed of a 256GB SSD is combined with the higher capacity provided by a 1TB HDD. This hybrid system is the most recommended system and one that many prefer. The graphics section excels thanks to a Nvidia GeForce GTX1050 GPU. Its 2 GB of VRAM GDDR5 memory will allow a user to enjoy gaming at high performance. With such hardware, this model can also perform all kinds of advanced tasks such as photo retouching and video editing. One of the strengths of this model lies in the good sound quality provided by its Dynaudio speaker system, which consists of two stereo speakers of 4 W. each and a subwoofer of 3 W. that offers a defined bass and a high volume level. The keyboard provides a good typing experience thanks to the good size of its keys, the generous spacing between them, the proper stroke when pressing, and the pleasant touch of the keys. It has very good networking capabilities, being compatible with both Gigabit Ethernet, Wifi-AC and Bluetooth version 4.2. Other features include three USB Type-A ports (two of which are USB 3.0), one USB-3.1 Type-C port, HDMI output, mini-DisplayPort output, S/PDIF digital audio output, an SD/MMC-card reader and an HD webcam.